Best life Music is hitting again. They are known to never decieve their audience and now they are going to gift the public a song that is sure going to be rotating in their playlist. Featuring MB Data, an upcoming Burundian artist, the “NkuyaKuya” was made to be a hitsong and the video to be a romance of green nature and fashion. Audio produced by Amir, Video directed by Kent-P in Burundi – Bujumbura. This should be the song that opened the year. Controversial comedienne Valentina Nana Agyeiwaa aka Afia scwarzennegger made a wild revelation on Zionfelix’s uncut shown that she pay male prostitutes to satisfy her. This revelation seems to have stirred most Ghanaians up and have gotten lots of people reacting to this. One of those who have recently added their voices to this is our very own music gaint producers, TubhaniMuzik. A video sighted by Dawuroo.com on instagram shows the producer reacting to Afia’s revelation in the affirmative. According to TubhaniMuzik, Ghanaians should stop the hypocracy and face reality since most people of her caliber do same and come out washing off their hands proving innocent. According to the producer, he agrees without fear to the revelation and feels it the best option to opt for in such situations. 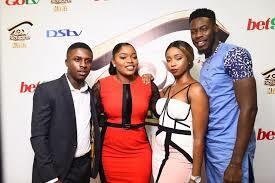 Season 4 of the hugely popular Big Brother Naija reality TV show is due back on our screens this year according to organizers of the show, MultiChoice Nigeria. In just three months since this was revealed, the show – and all that it represents – has generated a lot of excitement and frenzy among viewers who are anticipating the next stars that will emerge from this competition. Speaking about stars: no matter what side of the divide you sit on, you will admit that BBNaija is a great talent factory where stars are made. By just becoming one of the housemates on the show, you can be propelled to heights unimagined and unlock doors to many opportunities. With the help of a ‘Big Brother’, ex-housemates achieve a boost in their career trajectories which would have hitherto taken years to achieve. For instance, pre BBNaija season 3 Double Wahala, Tobi Bakre wasn’t a household name. 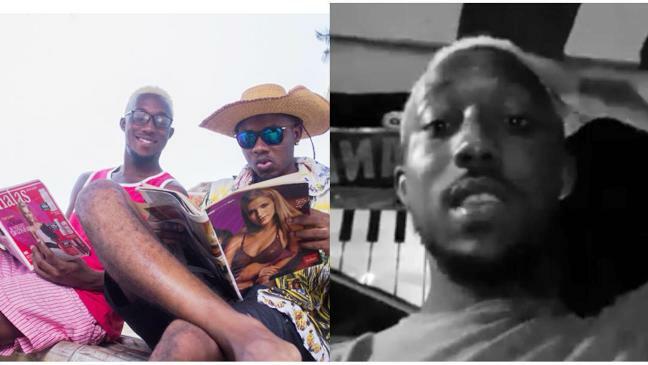 It was in fact his older brother Femi Bakre, the founder of Kraks, a comedy brand with over 2 million followers across social media platforms, who had some level of popularity. Tobi was a low-key guy who worked in a bank and took up photography as a ‘side hustle’. He was about your average Nigerian youth who had dreams of making it big and making his mark in the creative industry. Those hopes and dreams took a big leap when he went into the BBNaija house. Although he did not win, emerging second runner-up was in no way a small feat. He has since risen to become one of the most liked personalities in the Nigerian social media space recording a spike in followership by 450% since the show ended, as he revealed in an interview with The Guardian. In real life, his new-found fame fetched him some mouth-watering deals with big consumer brands including Unilever, Amstel Malta and Jumia. He has also taken up some acting gigs and is currently the star of one of Africa Magic’s shows, Hustle. Speaking on his time on Big Brother Naija, Tobi says it helped him discover some skills he was oblivious of such as being able to create things with his hands. “It (BBNaija) helped me recognize some of my talents actually not just to myself, but to the ever-growing audience. That kind of sets you on the path already”, he was quoted to have said in an interview. When Cynthia Nwadiora aka Cee-C stepped on stage and made her way into the BBNaija Double Wahala house, no one envisaged the firebrand she would be! Cee-C was unarguably the most controversial of the lot and she didn’t care whose ox was gored as she made known her views and opinions on subject matters – and fellow housemates. After 85 eventful days in the house, she came in second place, missing the number one spot by a few votes. Cee-C, a lawyer, worked as an outdoor advertising practitioner and was relatively unknown before going into the BBNaija house. Today, not only does she have 1.4million followers (and counting) on Instagram, she has become a fashion influencer and has worked with brands like Nairabet, Amstel Malta, Huawei Mobile and House of Lunettes. She recently launched her sportswear line, Cegar, which has so far been a major hit among her fanbase. Hate her or love her, you cannot deny her presence in the social media influencer space. She reportedly charges an average of N500,000 to advertise for brands on social media and her followers which she refers to as ‘spartans’ make a good study of celebrity fan love and loyalty. She is forever grateful to the platform BBNaija presented because according to her, “I probably would have never gotten elsewhere!”. In 2017, Uriel Oputa was an upcoming musician who needed the big platform that Big Brother Naija presented. During her time in the BBNaija See Gobbe house, Uriel was popular for her melodramatic yet entertaining diary sessions. After finishing in 9th position, Uriel bagged several endorsements and hosting gigs for some big brands such as Maggi, PayPorte, Pedini – Bosch Nigeria, Peak Milk etc. She currently has over 800 thousand followers on Instagram, a thriving wig business and is still a force to be reckoned with in the entertainment industry. Perhaps the most fascinating thing about these ex-housemates is that none took the prize money home. They all dropped out of the competition at different stages and yet are celebrated successes in today’s pop culture. It goes without saying that the BBNaija platform is one that offers a plethora of opportunities. How well you maximize it is entirely your call! Superstar Seyi Shay has had quite the thrilling career, experimenting with different styles and doing justice to all of it. She’s been off to a great start this year with two new brilliant videos recently released, and now a two-night residency at Biosdale of Canary Wharf, London, lined up. Biosdale of Canary Wharf is one of London’s great traditional British restaurants dedicated to the finer things in life such as delicious food, fine wine, and whisky, set to the soundtrack of the best live blues, soul and jazz music from around the world. Great artistes like Melanie C, Brian McFadden, Rebecca Ferguson, and Horace Andy are some of the performers to have once held residencies at the 200-capacity venue. 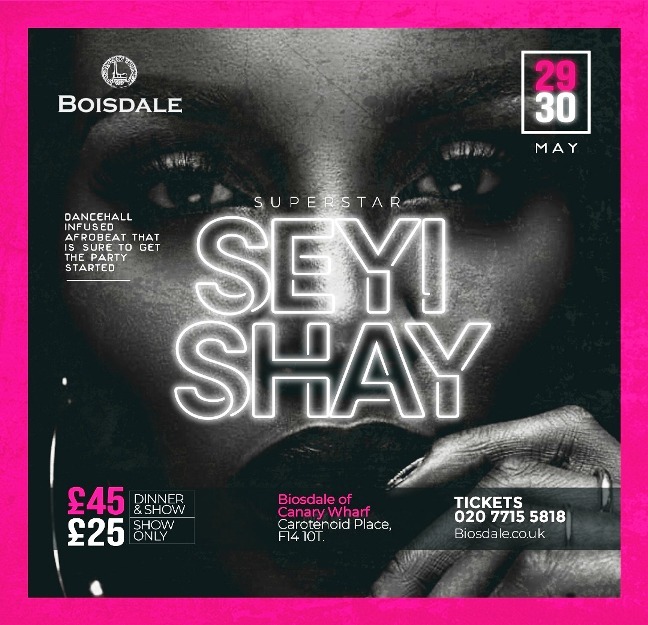 On the nights of the 29th and 30th of May, Sheyi Shay will be playing intimate shows at the illustrious venue, delivering live performances of dancehall-infused afrobeat hits. Ticket offerings allow attendees to either enjoy dinner and the show, or simply get lost in the artiste’s enchanting performances and can be purchased here. As the fourth edition of BBNaija approaches, we take a look at housemates from the “See GoBBe” and “Double Wahala” editions who are style goals. Bambam wore one of the most memorable looks to the 2018 AMVCAs. Her style can be best described as sweet yet edgy. Both on and off the red carpet, elegance is one word that comes to mind when Bambam steps in. She has a certain air about her that exudes grace, and we love everything that she decides to put on. When she’s not glam’d up for a photoshoot. T-boss’ style is pretty laid back. Her idea of fashion is comfortable and classy. She never goes over the top with her clothes and she sure knows how to make a white tee and jeans work. Tobi has proven with his style that he can pull off anything. When it comes to fashion, Tobi is willing to experiment with cuts, colours, and prints. We can always count on Tobi to break in the most cutting-edge trends. One of his remarkable looks was his fit for the 2018 TFAA. If you poked your head into Marvis’ closet, you’d find it teeming with things like distressed jeans, crop tops, and loads of boots. This babe keeps it 100% edgy. For streetwear inspiration, look no further than her Instagram page. TeddyA doesn’t just dress well, he has the physique to carry any outfit with the appropriate dose of swag. Maybe that’s why he’s becoming a regular on the runway. His style is casual but he makes effortless look real good! If we could crown Alex, she would be the queen of versatility. You can try to define her style but you won’t succeed. One thing is sure though, with Alex, there’s always a wow factor; it’s never the regular. Whether it’s her hair colour or her sleeves, something extra must be involved. Guess that’s why she’s called Alex Unusual. Ceec’s style is chic and modern. Even when she decides she’s doing the classic black and white, she brings a modern spin to it. Ceec embraces both the classic and athleisure, so her style is equal parts fearless and fun. On Thursday, the 14th of March 2019, Burna Boy unveiled his new commercial with Star Lager Beer. The commercial which is themed “come to the brighter side” shows the life of Burna Boy as a music superstar, seeing him in various elements; during a photo shoot and at a bar. The ad is also accompanied by a jingle composed and performed by Burna Boy. As part of his role as the new ambassador of Star, the new campaign will also see Burna feature in the billboard ads. Burna Boy has continued his remarkable success of 2018, releasing a new track – Dangote which has enjoyed massive airplay and widespread acclaim. His unveil as Star’s first brand ambassador early this year, culminated a remarkable 12 months for the Afro-pop star in which had released the critically acclaimed “Outside” album as well as headline his own concert. Following these achievements, Burna has been touring Europe for his “Giant of Africa” concert, all whilst continuing to deliver great new music. 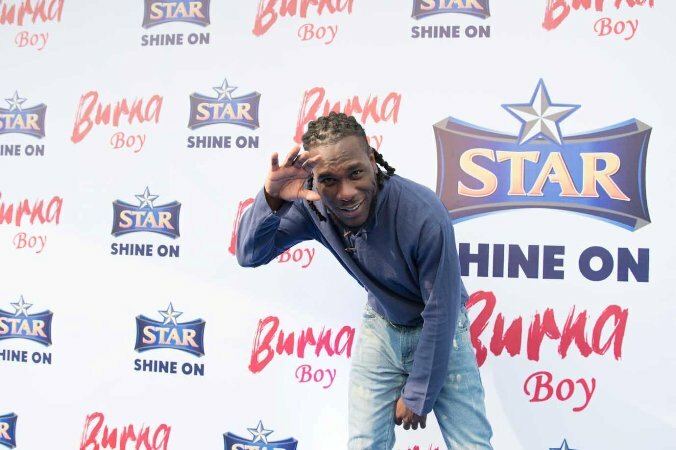 Burna Boy’s association with Star was unveiled on the 28th of January, 2019 at a private event in Lagos. This landmark relationship between Star and Burna will see him become the face of the brand, representing the brand across various forms of media. Currently, Burna Boy is considered one of the biggest artists from Africa with impressive streaming numbers across Spotify, Apple music, Deezer and Youtube, making him one of the most bankable music superstars of his generation. The model who turned a year older yesterday took to the street in Lagos all dressed up in the popular yoruba traditional outfit “Agbada” to strike a pose for her birthday shoot and she looked absolutely gorgeous. Emmanuella’s mystique was a combination of beauty, glamour and super creativity. Aside Modeling and pageantry, she also have an eye for entrepreneurship as she launched her footwear business on her birthday. The brand, Ella’s Print, will focus on mass production of quality shoes, sandals, slides and other leather products. One of her birthday wishes and dream is to become a successful entrepreneur and a role model to the girl child as inspired by her Ngo “The girl power foundation”. Rose May Alaba was born on May 26th, 1994, in Austria. She grew up in Vienna with her Filipino mother, Gina, Nigerian father, George and her older brother David, a professional footballer who plays for the giant German football club, Bayern Munich. Her father George Alaba, who was popularly known as Inferno dropped a massive hit back in the 1990s titled “Wishes for all”. At the age of 8, she started taking piano lessons. After finishing elementary school, she took vocal lessons and began to find the passion for writing her own songs. Playing the piano wasn’t enough for her so she decided to learn how to play the guitar. Rose May later taught herself by the help of youtube how to play the guitar. In 2011 she tried acting and took her chances by attending casting shows. She eventually joined a girl group called the BFFs. In 2013, the girl group decided to go their separate ways. Meanwhile, Rose May studied for 3 years at the acting school and successfully graduated. In 2015 she released her first single “If all of this is you” as a solo artist. She had a rocky start, nevertheless, she took the time to figure out what kind of style she wants to have for the second single. One year later, she released her new single “Love me right” which was a totally different sound as she worked with another producer, Rodney Hunter, and it was a huge success – the fresh sound she brought to the table made it to the #1 on the Austrian iTunes Charts for almost 4 weeks. In 2017, The Coca Cola asked Rose May to write the unified song “Can you feel it” for the Special Olympics World Games 2017. As months went by Rose May started working on a new project with a Songwriter from Germany, named Menno Reyntjes. They wrote a song together titled “Take Your Time” produced by Boris Fleck. Working with different artists and producers she discovered the love for afrobeats which led to her latest single where she collides pop music & afrobeats called “My Love (sabi o)”, produced by Adrian Louis & Sovida Beatz written by Rose May Alaba. She recently collaborated with Mayorkun and producer Kiddominant on her new single titled “50/50”, which went on to the top of Nigerian and on Nigerian iTunes Charts. Rose May Alaba plans to release more singles in Nigeria this year with the aim of emulating Tiwa Savage and Seyi Shay who have come in from diaspora and made a name for themselves in the Nigerian entertainment scene. Unlike most other media influencers, she has a special way of carving her own stunt making it attractive enough to get wide attention. Her followership on social networks especially Instagram ‘Flyest_mz” has grown hugely and brands are almost stocking her with jobs.